Teva Arrowood boot: What is it? These boots are super-durable and super-lightweight, while also being made of full-grain leather. Roll those three things together and you've got a durable pair of shoes that are great in the outdoors, but also great at going incognito in the city. 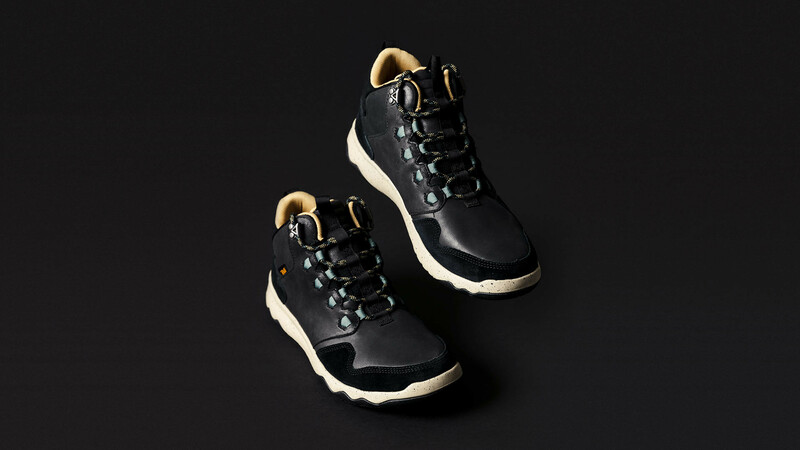 Sure, Teva might be most famous for its loud-print strappy sandals, but from its plush leather looks to its signature grippy-when-wet soles, this foray into walking boots looks and feels like the real deal. Teva Arrowood boot: Why do I need it? You've probably got a pair of pavement pounders for the city and a pair of walking boots for out in the country yonder, haven't you? Do you feel ever so slightly embarrassed each time you pull on the walking boots? Yeah, thought so. They're not exactly the height of cool are they? And so clunky! With these, you can do away with the walking boots, and just sashay into the outdoors straight from the city, then wipe the mud off when you get home. In these, you'll be able to strut through ankle-deep slurry and water without suffering the consequences (believe us, we've tried), but also not stand out like a sore thumb when walking down the high street. What's more, these hiking hybrids weigh in at just over 400g per shoe, making them about as heavy as your average pair of trainers. Good old technology, eh? TEVA Aroowood boot: Should I buy it? Think of the money (and natural resources) we'd all save if we had one pair of shoes for more or less every activity. Forget buying them, just start campaigning for a national basic shoe allowance, so everyone gets a pair for free. Including you.